I personally feel we need to invest a little of the money we earned to promote our sites. Without advertisements, our site will be stagnant after a while. Traffic will not increase, no new readers and hence, no improvement. Recently, I joined Best of the Web blogs because I see that many of the probloggers are listed there. Well, my theory is if there are problogers like Problogger, Shoemoney and other biggies, then, it has to be a directory worth submitting. The cost of it was less than USD30 for a year because they have a promo in August. Sorry, I only heard about the discount in the last few days of August and only get approved two days ago so that code has expired. :( Too bad I didn’t manage to help you save 25%. I have checked through all pages and am satisfied that the folks who run BOTW are serious with their directory and there aren’t spammy sites. I like their orderly site with press releases, FAQs and etc which shows they maintain the web directory seriously. Best of the Web Directory Submit is a service for webmasters, site owners, and marketing organizations to quickly have their site reviewed for inclusion in the BOTW Directory. The cost of this service is an annually recurring review fee of $79.95, OR a one-time fee of $239.95. All fees are non-refundable and all web sites approved for inclusion in the directory are subject to an annual review to ensure compliance with our terms of service. 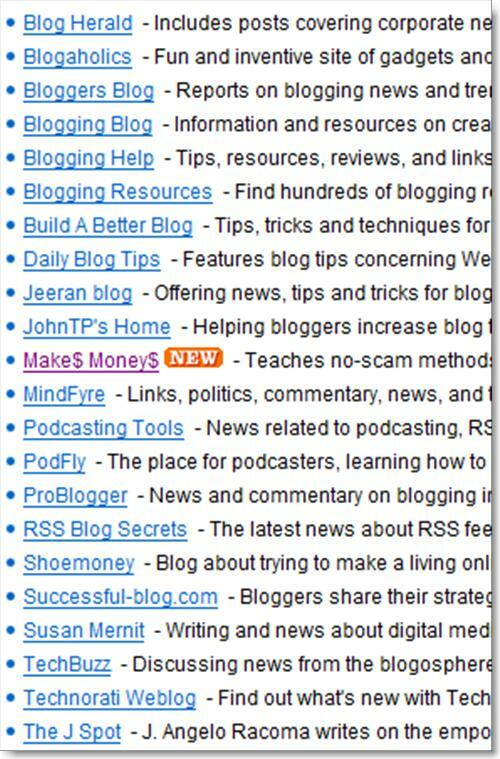 I submitted to the $39.95 blog directory and now, my blog is listed amongst the probloggers. Good investment, eh? Of course you can get free submission but there is no guarantee how long your blog stays there. Best of the Web! is claimed to be the web oldest directory so I think business sites shouldn’t missed out on submitting their sites. Submit to BOTW if you have a little cash to spare. For me, it is just another thrilling venture for a tiny fish to swim with the sharks listed there. Hey, how often do you get listed side by side with Problogger, right? I also signed up as an affiliate ;) . The Best of the Web Reseller Program is an excellent way for Webmasters and Internet Marketing professionals to earn money by submitting their own website or by referring users to Best of the Web using affiliate links. Upon joining the reseller program, partners immediately earn a 25% commission for each new Listing and Sponsorship. One other factor – The site has a PR 7/10.Â I guess I don’t need to say more.